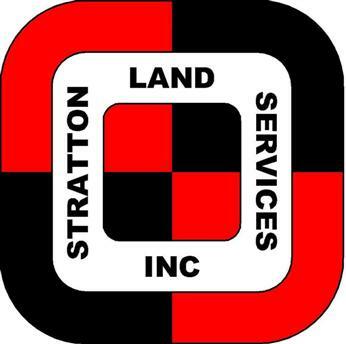 Stratton Land Services Inc. is a land surveying and engineering firm located in Rathdrum, Idaho. The office was originally created as a branch office of Stratton Surveying & Mapping (a Tri-Cities, Washington based company) in 2002. In September of 2008, Stratton Land Services, Inc. was split off as a separate entity. Rob Stratton has more than 30 years of experience and is the principal in charge of surveys and designs. Bob Stratton, Rob's father, is still a part owner in the company and often works on the projects. 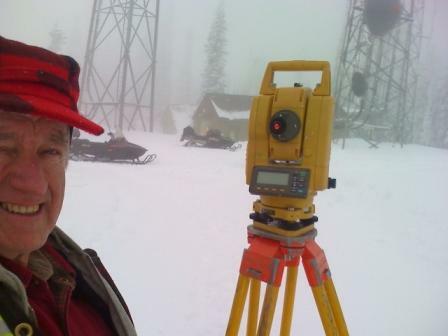 He has more than 50 years of experience in surveying. Combined, they are licensed surveyors in the states of Idaho, Washington, Oregon, California and Montana. The goal of Stratton Land Services, Inc. is to remain a small company that is capable of offering superior quality service at a reasonable price. Rob Stratton is involved with every project to insure that quality and consistency is provided. We work closely with our clients to insure that they are getting the services that best fit their needs. This includes understanding the purpose of the project and discussing the benefits and implications that different services may have. Educating our clients is an important part of this process. We work hard to derive a well defined scope of services to be provided. We work equally hard in helping our clients resolve issues that may arise during their project. Surveying is like detective work, piecing together historic legal documents with evidence from the field. When conflicts arise, we help our clients evaluate the problem and determine their possible solutions. We work to keep up on the laws that effect boundaries and surveys. We are active in the state and national survey associations. We attend as many continuing education classes as possible to stay informed of the issues. Surveying is a complex field that works with the laws and legal theories that govern boundaries. Understanding these laws helps us to better serve our clients. We stay current with the latest improvements in technology. We use a Topcon GR-5 GPS receiver that receives both NAVSTAR and GLONASS signals. We have a Topcon GPT3005 total station and Topcon GPT9003 robotic total station. Both have reflectorless capabilities. Data collection is obtained using a Topcon FC2200 or a Carlson Surveyor 2. Both units use Carlson SurvCE software. Office work is performed in AutoCAD 2009 Land Development Desktop. Stratton Land Services, Inc. offers a variety of surveying services including boundary, construction, topography, platting, ALTA, control, right-of-way, elevation certificates, LOMAs and property descriptions. We also offer engineering services for the design of site plans, road plans, drainage plans, grading plans and utility plans.